يوفر فندق منتجع رويال بالم ظروف إقامة راقية وهو خيار رائج للسياح ولرجال الأعمال أيضاً. يقع في منطقة شواطئ, سياحة من المدينة. يقع الفندق على بعد من مركز المدينة، ويؤمن الوصول إلى أهم مراكز المدينة. إن سهولة الوصول من الفندق إلى المعالم السياحية الشهيرة الكثيرة في المدينة هو استثنائي بحد ذاته. إن الخدمات التي يقدمها منتجع رويال بالم تضمن للنزلاء إقامة مريحة. يقدم هذا الفندق العديد من الخدمات الكفيلة بإرضاء أكثر الضيوف تطلباً. في الفندق غرف نوم يتجاوز عددها 70، كلها مجهزة بعناية وجمال وبعضها مزود بـ تلفزيون بشاشة مسطحة, اتصال لاسلكي بالإنترنت, مروحة, حوض استحمام جاكوزي, سياسة التدخين - غرف لغير المدخنين متاحة. يقدم الفندق خدمات رائعة كمثل جاكوزي, مركز للياقة البدنية, ساونا, مسار جولف - ضمن 3 كم, مسبح خارجي لمساعدتك على الاسترخاء بعد نهار طويل من النشاط والتجوال في المدينة. مهما كانت أسبابك لزيارة المدينة، فإن منتجع رويال بالم هو الخيار الأفضل لإقامة مثيرة وممتعة. يُرجى الإشارة إلى موعد وصولك التقديري. تفرض رسوم إضافية على معاملات بطاقتي ائتمان فيزا وماستر كارد بنسبة 2.2٪ . يجب أن يتطابق اسم الضيف الذي يقوم بتسجيل الدخول مع الإسم المذكور عند الحجز. يجب دفع مبلغ تأمين بقيمة AUD 500 عند تسجيل الوصول لتغطية أي تكاليف أو أضرار قد تحدث أثناء فترة الإقامة وسيتم إعادته عند المغادرة. Great location, good security, well maintained and managed grounds and facilities. We bookrd a superior apartment because we were happy to pay a little more for an upgraded apartment with nicer furnishings. We had to ask reception to make sure we were given a superior apartment because the furniture was old and dingy and apartment just a bit dingy. The kitchen and bathrooms haf been renovated but some time ago by the looks of it, but that qualifies it as a superior apartment. Just luck of the draw if you get a nicely renovated one as they are all privately owned. Also a few maintainance issues like blown light bulbs and batteries desintergrating in the t.v remote. Tha pool is one of the best we've come across at a unit complex. We would stay again but make sure of a nicer apartment. The unit was a little dated but was very clean and had fantastic views. The pool and spa were great and I loved that we could walk to the surf and to the calm water. We have used this accommodation some times now and still love it! Still there are some things starting to look old needing some up keep. The staff has unfortunately become less friendly, however they did promptly give us another room because the one we were first given was stuck in the 80's. The other downer was the tight lock-down of the external rear area near the pool. Don't bother going for a beach walk before 6:30am (best part of the day) or after 9:30pm unless you head out the front and track around the block. This lock-down system took the freedom out of this holiday trip. In saying all that I would recommend this place, and hope to return myself. Its beautiful location and well keep pool are its greatest drawer cards. Great for young families. 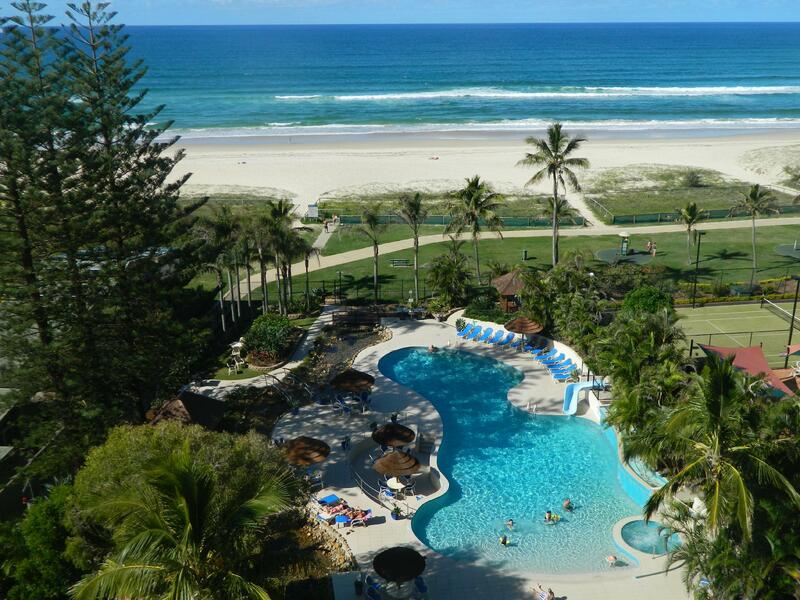 Spoilt for choice each morning looking out from the balcony up on the 23rd floor.. wonderful pool and surrounds .. or through the gate to the patrolled beach. No need to hire a car.. supermarket, restaurants, a stones throw away. We caught the bus 20 mins to and from the airport. They even run from right outside the resort 1.5hr journey all the way to the theme parks! Such a relaxing stay. Would definitely recommend! 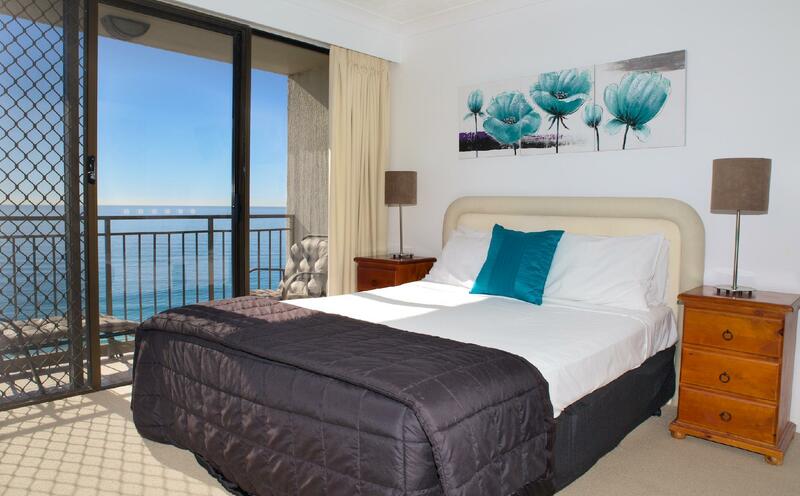 Booked a 2 bed superior for xmas atleast 7 months in advance. To b hit with a 2 bed delux , dirty and needed modernizing. Been coming here the past few years without an issue. Gutted this year. Staff were great though. Terrific location. Beach access. 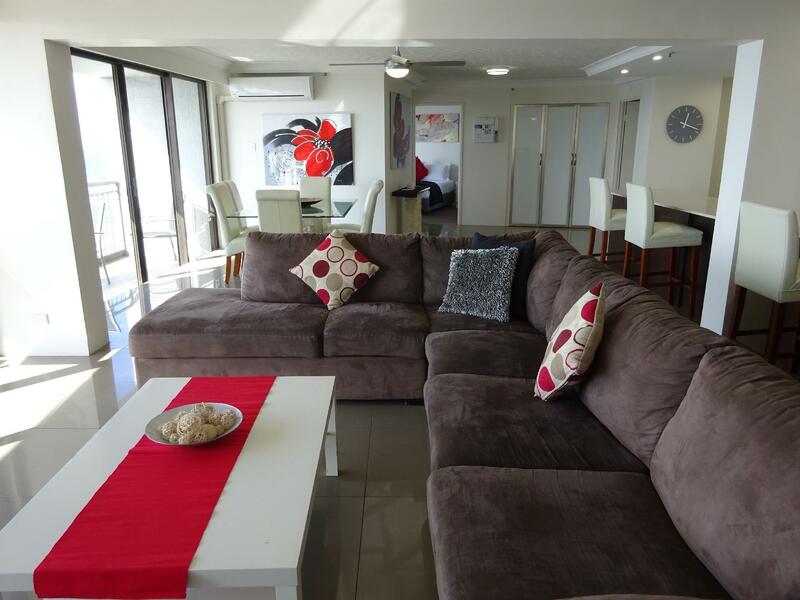 Apartment 11a has views of GC, ocean, Currumbin Estuary and the hills with Mt Warning! Bright & airy 2 bedroom apartment with shutters. No air con in bedrooms but great breezes. Windows rattle a bit in the wind and no fly screens so a few bugs & cicadas joined us. Great facilities with large pool. Really beautiful setting. Would recommend for group of friends or a family with kids. Great family holiday accomodation. My kids loved the pool (thank goodness it was heated), it's right on the beach, park close by, cafes, restaurants and supermarket all within walking distance. The apartment was comfortable with everything we needed- just be aware of the 5am summer sunrise and no blackout curtains! Pros :value for money when finding a good deal. 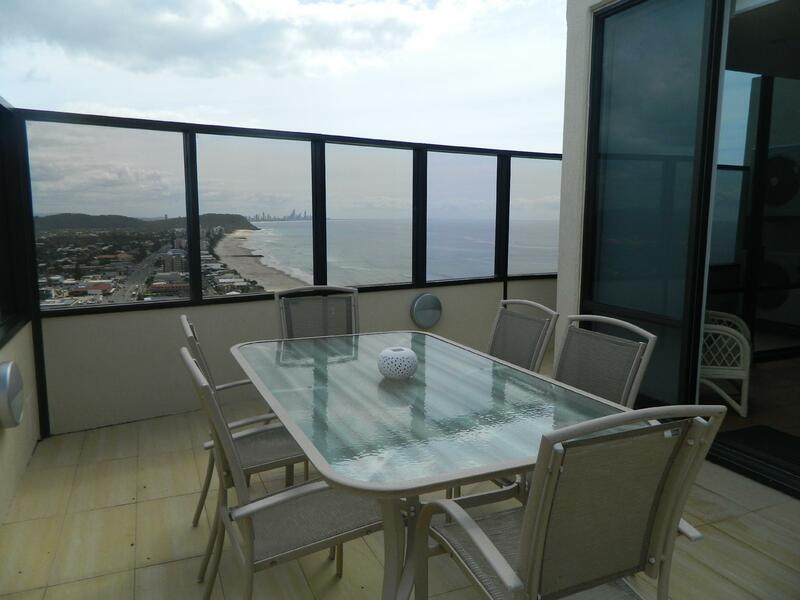 Location is hard to beat with ocean front, close to cafes and restaurants. We love The view and sound do ocean and the facilities. Cons:units are all so different and the past year we have stayed 3 times and always had something different not right with the units. This time it was the beds -they were small (double for main) and very worn out uncomfortable mattreseeses. The shower in ensuite was very low pressure. The fridge shelves were broken and the frypans were very used and in poor condition that I couldn't use to cook. The other con was the unit above was having work done and we would wake (on our holiday) to the loud sound of workers above, even prior t 7am! (Holidays are for sleeping in !) Besides all of this , we will keep coming back but only when we can access crazy good deals, wouldn't pay full price without these things being fixed. Need to have a set standard even tho the rooms are individually owned. The swimming pool area was first class and excellent proximity to beach. The apartment we had (11F) was a good size and basically clean but could do with updating and a good spring clean. All the pictures of the apartments online were a lot more modern. 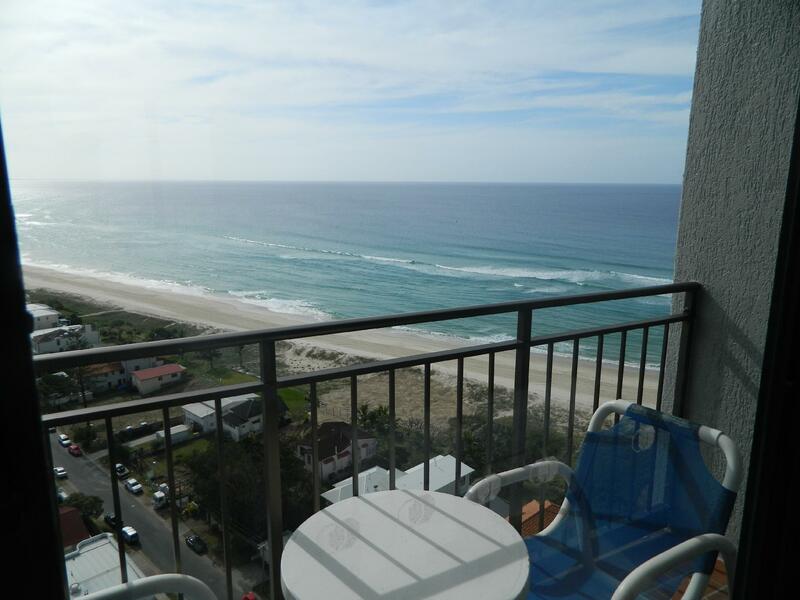 We had a sea view from the lounge room but were on the side of the building so facing north up the Gold Coast Highway. Still a good view though. Would definitely stay again but would ask for an apartment towards the middle of the building with more ocean view. Uninterrupted beach views and sound of ocean is what Brings us back. The facilities are also of high standard. The bathrooms in 13 B needs renovating as showers were dribbling(no pressure) and doors falling off . The rug and the bed covers were dusty and stained and the curtains could do with a good clean or replacing. Staff were friendly and accomodating. To sum it up in two words " absolutely perfect". The staff are fantastic, the pool, BBQ and garden areas are so well maintained. The apartment was just perfect, and has everything you need. I can't wait to go back there for our next holiday. We love this place. It's the second time we have stayed here and can't wait to go back. Great location. Large spacious apartments. Beautiful pool. Easy beach access. Perfect for young families. We wouldn't stay anywhere else now. Disappointing no sauna even though advertised as having one (Steam room is not the same). Unit was hot, no air conditioning and could do with a clean. Location to shops and beach terrific. Pool and bbq area lovely and well maintained. Perfect property for kids of all ages, one of the best pools i've seen for a resort. Why did I book this? 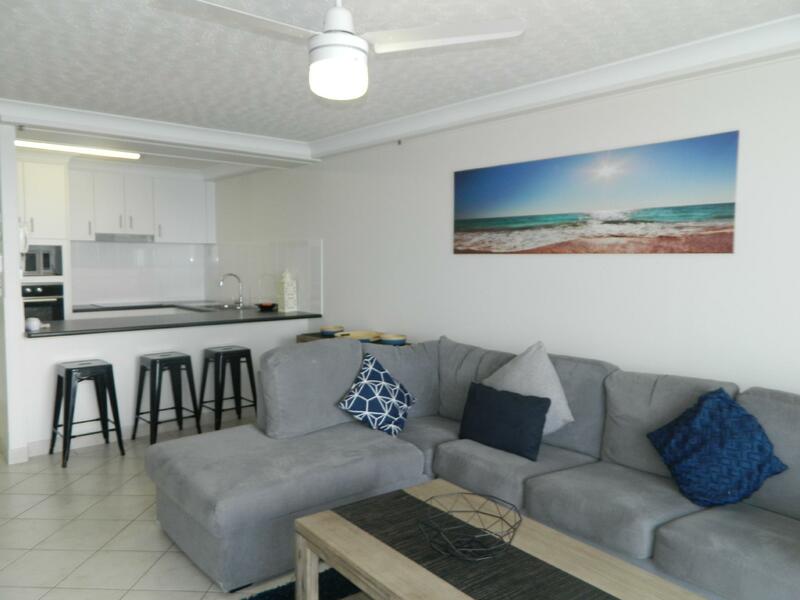 The photos of the unit on the website looked great, along with the pool and location right on the beach & next to Currumbin river. Certainly the location was amazing, and the pool was great. However the rooms we were given were well below par. They were shabby & looked like nothing had been done or spent on them since the building was originally built 30 years ago, except for new flatscreen TV's. Rated as 4 star, I wouldn't have given them better than a 3. Unit 11F day 1 Oven didn't work Hot plates were dangerous, the small hot plate came on together with which ever hot plate you had actually turned on The saucepan lid handles were all broken Crockery and glasses were all dirty & greasy No blankets Several light globes were not working Could not open windows as no fly screens fitted. Next day we complained & got moved to the only other available unit. Unit 21E No blankets Oven needs calibration, we had a very late dinner on our first night as oven took 2 hours to roast veggies. Kitchen cooking utensils are cheap plastic & useless. Several light globes not working. No remotes (TV, DVD, & Cable TV) had batteries. Ceiling fan/light in living room did not work. Doesn't anyone check this basic stuff before guests arrive? It isn't rocket science! According to the management, they have no blankets it's the unit owners responsibility, we had none in first unit, & 1 between 3 beds in second & the evenings were particularly cool. Lucky we have family living on Gold Coast who we could borrow bedding from. My summation. The owners of the units are tight arses, they can't even afford 1 blanket per bed, and management of the rentals is slack. Obviously they do not work off an accommodation check list before guests arrive. 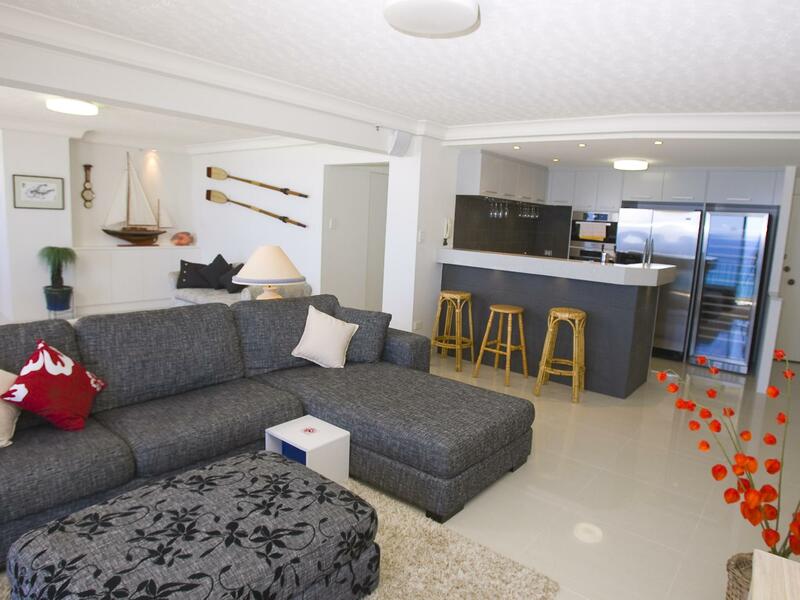 So the way I always judge accommodation is would I recommend this & would I stay there again. Answer NO WAY! It's a shame as this place has so much potential. The resort is right on the beach which was fantastic. Great pool. Large apartment in good condition but I wouldn't call it 'superior'. The unfortunate part was our apartment was on a level of people who smoke so if we couldn't open the sliding door to the balcony because of the smell coming into our apartment. The hall way to the lifts stunk of stale smoke. If you get Level 12 ask for another floor. Great location, nice and quiet family holiday, easy to get everywhere, great pool and awesome cafe and playground next door. Cleanliness could be improved and a lot of bedbugs and other little critters in our apartment!